I’m like a kid in a candy store when it comes to cosmetics. After trying so many brands and spending so much money ,I found out it doesn’t cost much to look nice. I’m sharing some of the products I love and use everyday that will help you get the flawless look from head to toe. 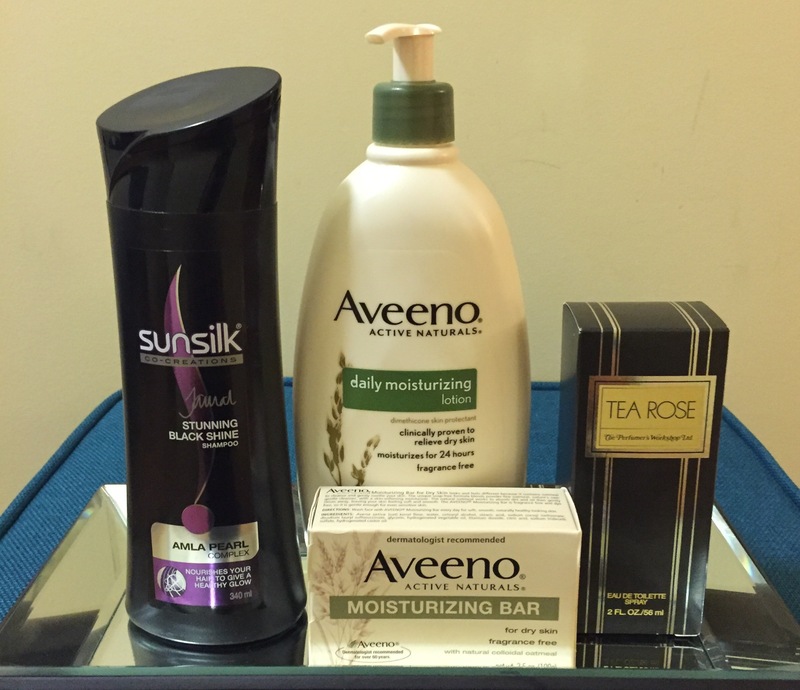 Aveeno moisturizing lotion & soap is fragrance free and made of oats is very gentle on your skin and face , doesn’t clog the pores keeps the skin nice and smooth in the winter months. Add a few drops of good quality almond oil mix it with the lotion and apply it immediately after you step out of the shower this seals the moisture in your skin . Sunsilk Amla pearl shampoo keeps your hair silky and shiny . It really stops hair fall . It gives your hair good volume and doesn’t leave a build up . Never apply shampoo directly on your hair. It dries your scalp. Mix three squeezes of shampoo , couple of drops of coconut oil and add equal amount of warm water in a small travel /squeeze bottle shake it well and apply on your wet hair it lathers so good and washes off clean . Put couple of drops of coconut oil rub it in your palms and apply it on the wet hair this acts as a conditioner and protects your hair when you use the styling tools . 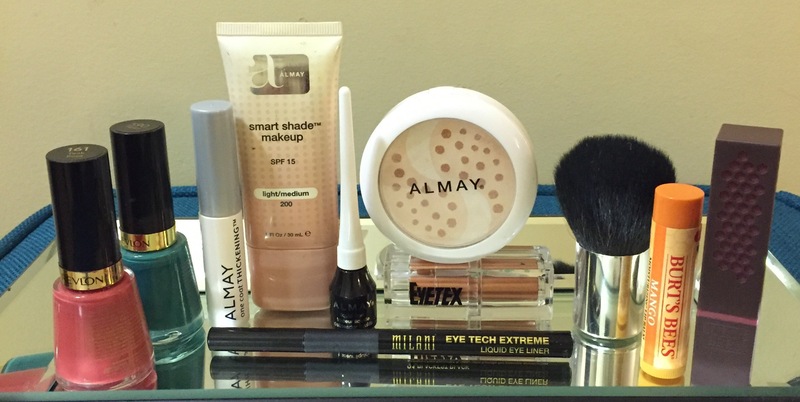 Almay smart shade make up and pressed powder is hypoallergenic and blends very well with your skin tone. Use the big powder brush in circular motion to get good coverage . This takes 15 minutes to blend in . So do your makeup at least 30 minutes before you leave the house to get the best results . Almay liquid eye liner and mascara is again hypoallergenic and smudge proof. Use the good old Eyetex kajal (gel eyeliner) inside the eye line to define your eyes.Milani fine tip liner helps you draw a fine line to get the Adele eyes. Burt Bees tinted lip balm is my favorite It comes in different flavors.Mango, pink grapefruit and pomegranate are the best . Keeps your lips smooth even in winter. Even though there are hundreds of brands my personal favorite is Revlon because it comes in beautiful shades that match our colorful clothing and the beautiful sandals we wear . Tea Rose by The Perfumer’s workshop Ltd is such a beautiful floral scent and so pleasant . Just spritz some on your clothing, dab a little bit behind the ears, sides of your neck and the wrists the Rose fragrance stays with you all day long . I hope these products are easy on your skin and your wallet and helps you stay beautiful.